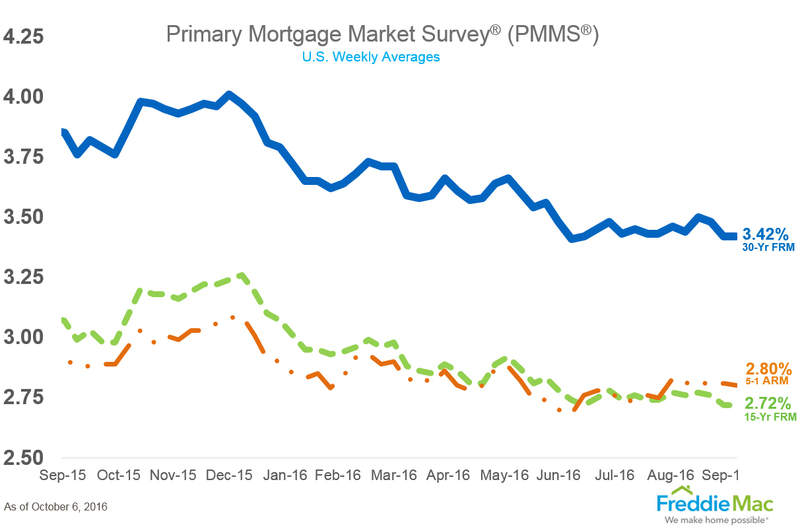 The 3o-year fixed-rate mortgage (FRM) averaged 3.42 percent with an average 0.5 point for the week ending October 6, 2016. This rate is unchanged from last week’s. Mortgage applications increased 2.9 percent from one week earlier for the week ending September 30, 2016. The unadjusted Purchase Index was down 0.2 percent week-over-week and 14 percent year-over-year. The refinance share of mortgage activity increased to 63.8 percent of total applications from 62.7 percent the previous week.